After two enthralling and successful evenings, we’re back with the third volume of our very own open mic. event, Andaaz Apna Apna. “Andaaz Apna Apna”, because respecting every individual’s school of thoughts is not just important, but also enlightening. 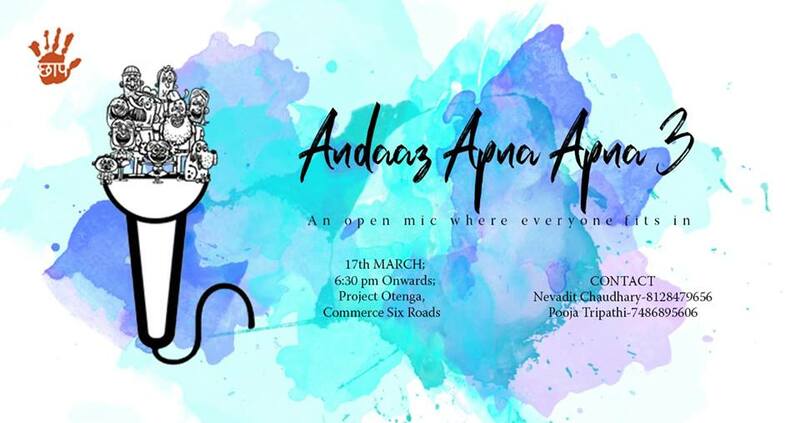 With Andaaz Apna Apna 3, we wish to present opportunities not only to the unheard writers who need that boost of confidence, but also to the listeners in the audience who, by the end of the evening, leave with a huge boost of inspiration. We invite poets, musicians, stand-up artists, and storytellers to come and join us and help towards building a stronger fraternity.